This great little hack allows you to physically interact with these landmarks a bit more by taking a Virtual Stroll using a Kinect and a large monitor with a Google Maps display. 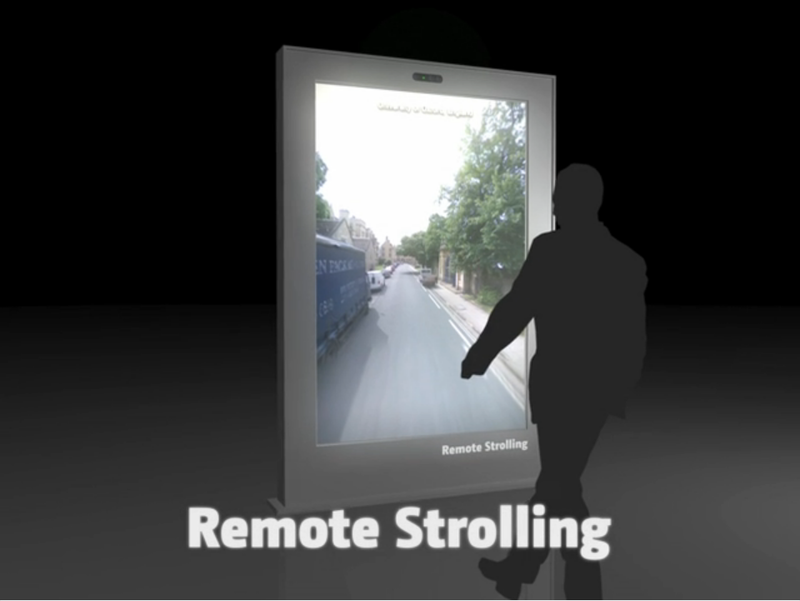 Using a public display with a tracking device like Microsoft Kinect, a person can stroll around in a virtual representation of the distant place, using their body as a controller. Turning and tilting their body lets them look around, while they can move by jumping or walking in place. The physical interaction makes the strolling feel more real. For more check out the video.